A 55-year-old man has been arrested on suspicion of sexual assault after a ‘disturbance’ on a train in Pulborough last night. Transport police officers were called to a train at Pulborough Railway Station at 8.30pm yesterday after reports of ‘a man causing a disturbance’, police said. 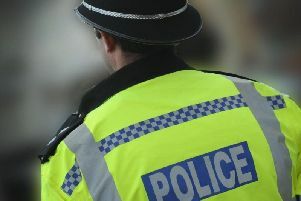 A 55-year-old man from Horsham was later arrested on suspicion of common assault and sexual assault. A Southern rail spokesman said four members of staff were involved in assisting passengers following the incident which saw the train delayed at Pulborough for about 40 minutes. The train had started in Southampton and was headed towards London Victoria. The line was blocked between Horsham and Barnham while officers dealt with the incident. Police said the arrested man remains in custody as the investigation continues. Any witnesses are asked to contact British Transport Police by sending a text to 61016 or by calling 0800 40 50 40 quoting reference 601 of 14/11/2017.